The ferritic stainless steel pans from SOLIDTEKNICS are likely to be the most reached-for cookware in your kitchen. 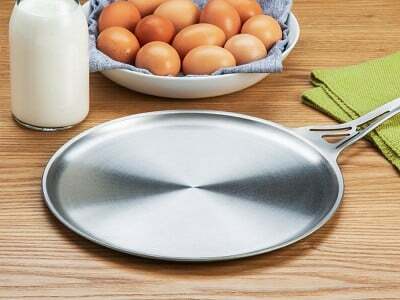 These solidly built pans are better heat conductors than other types of pans—like aluminum—so they get hotter faster and more evenly. And their one piece construction means they are built (and guaranteed) to last a lifetime while being easier to clean, too. We first became fans of founder Mark Henry and the team at SOLIDTEKNICS’ approach to rethinking cookware with their Australian-made AUS-ION steel pans. This collection of ferritic stainless steel pans is Made in the USA and each one is made with just one seamless piece of U.S. steel. That means there are no rivets or screws to potentially break down or gaps to gather build-up. 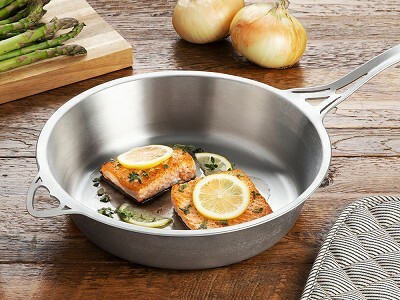 The sauteuse and flat skillet pans feel solid and have an ergonomic handle designed to offset that heft. Both work with most heat sources—including induction, gas, and electric—and can go into the oven or onto an open flame. Toss them in the dishwasher when cooking duty is over for a fast clean up. What are the benefits of using ferritic stainless steels when cooking? What sort of cooktops can ferritic stainless steel be used on? It can be used on induction, gas, ceramic halogen, electric, in the oven, or over open flame. 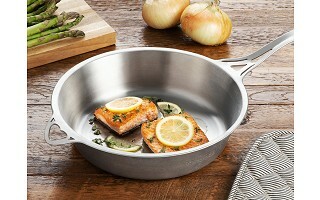 The ferritic stainless steel pans from SOLIDTEKNICS are likely to be the most reached-for cookware in your kitchen. These solidly built pans are better heat conductors than other types of pans—like aluminum—so they get hotter faster and more evenly. And their one piece construction means they are built (and guaranteed) to last a lifetime while being easier to clean, too. 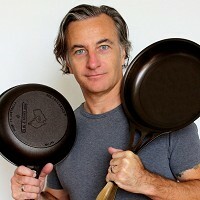 We first became fans of founder Mark Henry and the team at SOLIDTEKNICS’ approach to rethinking cookware with their Australian-made AUS-ION steel pans. 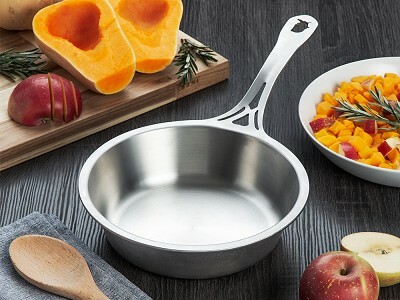 This collection of ferritic stainless steel pans is Made in the USA and each one is made with just one seamless piece of U.S. steel. That means there are no rivets or screws to potentially break down or gaps to gather build-up.